Back in August I wrote a blog about a project where we ultimately used Digital Storytelling as a medium of instruction to inform people about radicalisation. The blog is here. My personal contribution to that project was a non-linear interactive narrative. You can check out here. and it was created with the wonderfulTwine html publishing tool. A non-linear interactive narrative is a story where you can make decisions to alter the course of the story. From a personal perspective, it’s one of the most rewarding and enjoyable things I’ve ever done either professionally or academically. A good portion of my First degree was focused on creative writing, and I still very much enjoy that, but what I mainly derived from the project was the sense that creating learning activities with a narrative, where the learner could place themselves in the shoes of someone else, made that learning experience all the more immersive and enjoyable. 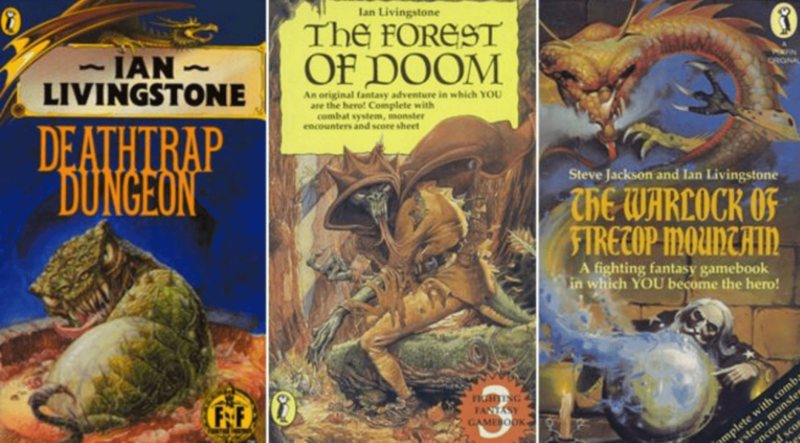 As kids, myself and a number of friends would play the Fighting Fantasy set of books by Steve Jackson and Ian Livingstone. In these books, you’d set off on a quest and along the way there were choices to be made or determined by the roll of a dice. For a bunch of kids that had grown up reading the Hobbit and Lord of the Rings, this opportunity to be a part of the story was great fun. Books, movies, even your run-of-the-mill soap operas allow us to slip our own skins briefly. We can live the life of another, engage with an alternative reality to our own. See things we’ve never seen; go places we haven’t or cannot ever go; commit actions not within our frame of reference, ability, or desire to commit. These media offer windows into worlds that can broaden our horizons, give us greater perspective, and when we consider ourselves and our own contexts in contrast, they may teach us something about who we are and what we can do. And that’s where innovative educators have come in. This is not just a recent phenomenon of course. Children and adults have been learning with narratives playing host to the learning objectives for a very long time. Pick up a children’s book on any subject and you might see a story that frames learning on vocabulary or mathematics. For corporate training, a narrative is often used as a backdrop to learning about negotiations or effective sales. It’s important, it makes the learning more relatable and engaging by contextualising it. 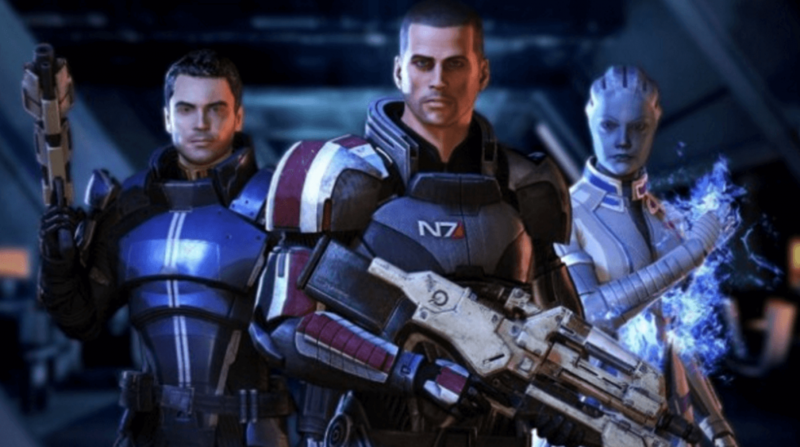 Consider alongside these facts how we have always taken part in games while we learn. Why do we do this? Because it engages learners. We like stories, and if we can play games which might put is in the centre of a story AND learn, well, that’s a formula for excellent learning scenarios. 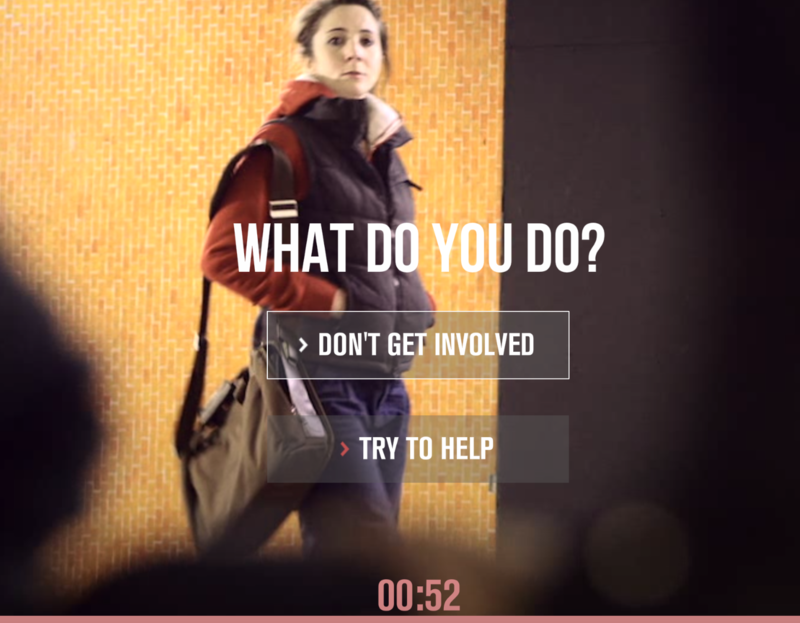 Check out this excellent interactive video site which teaches people what to do in situations where someone’s life is in danger. If you agree with me you will have found that really informative and engaging. However, have we learnt the content more effectively than had we simply read instructions in a pamphlet? According to learning theory, we have. This type of Scenario-Based eLearning is effective because it’s so immersive. Learners are placed in a simulation of a real life situation which allows them to learn skills and information they can use if they find themselves in a real life situation such as these in future. Contextualising the learning of the skills and information in the relevant settings helps learners remember them more effectively. What elements does effective scenario-based learning require? If we consider the lifesaver video, it features all of the elements required for effective learning. First, it’s realistic. The scenarios take place in authentic locations and the actors give realistic performances. Also, the video is not asking of us anything the majority of us don’t already know. Common phrases are used and even if new jargon is introduced, as it’s a video, we can see clearly as to what is being referred to. Very little should be beyond the target audience, in this case the general British public. Next, learners learn by doing. Of course, learners aren’t themselves racing down a London Tube walkway to find a defibrillator but they are having to make the choice. This is so much more authentic than simply reading a list of instructions on what to do in an emergency scenario. Because this is the crucial aspect, the interactivity. It’s based on real world experience. It’s practice and not simply theory. Scenario-based learning motivates participants. They see directly the cause and effects of the situations and the results of their actions in relation to that which helps in deeper learning without overwhelming them with information. The gamified feel to the learning also means that they can be more engaged and less likely to skim through content or give up. We would design the fundamentals of scenario-based learning in much the same way as any learning. We assess the needs of the target audience. What’s the problem? How can we solve it? We look at the final objective of the learning and think about the constituent skills and information that will support our learners reaching that objective. And then we frame this in a realistic and manageable context. Make the learning interactive as to test the learners acquisition of the information and skills or to simply constantly keep them engaged and thinking about the scenario. Keep the learning tight and focused. Make the information and skills covered the ‘need-to-know’ type of information as opposed to irrelevant information. However, some links to the ‘nice-to-know’ information to promote continued learning through giving learners access to constantly updated resources will strengthen your designs and make the learning more sustainable. The Lifesaver video has very high production values, but we needn’t mortgage our houses to make something similar. As mentioned earlier, you can make a branching interactive story with something as similar as the Twine app which can be enriched with some additional html skills. We can also make branching choices possible on a website where links take learners to different pages with the results of their decisions. We can make simple videos and upload them to YouTube and add links to choices below or, if you have skills with authoring software such as Articulate or Captivate, you can add the videos and add the options that move the forward on the relevant slide. Scenario-based learning has been with us for a long long time and will be into the future too with technologies such as Virtual Reality making the possibilities for immersion even greater. I’ll be covering that and a number of other topics related to more gamified and interacive learning soon.